Two days ago I mentioned a new book, Sri Ramanopadesa Noonmalai, that featured some of Bhagavan's philosophical poems. 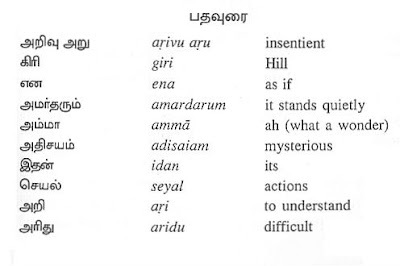 There is a companion volume, Sri Arunachala Stuti Panchakam, that contains translations of Bhagavan's five hymns to Arunachala. The translation is by Michael James and the explanations are by Sadhu Om. The book is already on sale in the Sri Ramanasramam Book Depot. It will appear in the 'sales' section of my site in a few days' time. 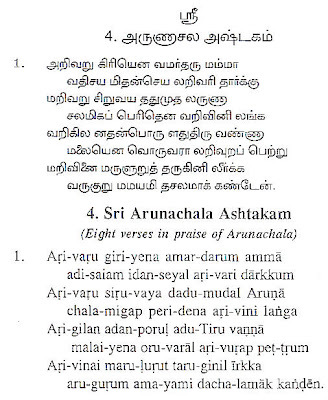 Here is a sample, the first verse of Arunachala Ashtakam in which Bhagavan describes how he became aware of the greatness and true nature of Arunachala. I suspect Bhagavan's early inner recognition of Arunachala as the greatest had to do with bhakti cultivated over past lives? I don't think he ever said so and his general attitude towards reincarnation was 'find out if you're born now'! Right? I get the feeling that Papaji was much more comfortable with talking about his past lives, associations from past lives and reincarnation than Bhagavan.. I agree with you here. 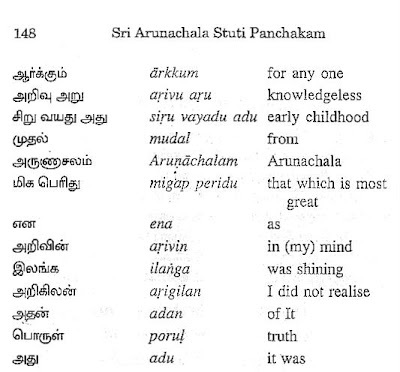 Bhagavan's early veneration of Arunachala was probably a past-life samskara manifesting.The phrase in this verse had been variously translated as 'unthinking childhood', 'age of innocence', and so on. 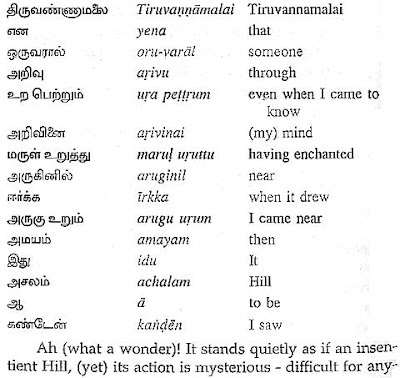 They all indicate that Bhagavan knew Arunachala was something great even before he had the capacity for rational thought. Please make the links in your personal site as to open the target in new window.